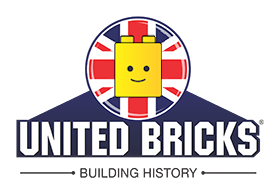 United Bricks Stand to for review! The first time I came across military LEGO was in a NEWS item about a man who had built a massive US warship all to scale in his rather large garage\shed\man cave. I was extremely impressed and I think at that moment fell in love with military LEGO. So when it came to deciding what I'd like to cover in the blog what we shall call from now on MiniFigs was a no brainer. I just needed to get those hives of creativity, the builders and sellers to come on board. Thankfully all those I contacted agreed, paving the way I hope to a successful and popular section of the blog. 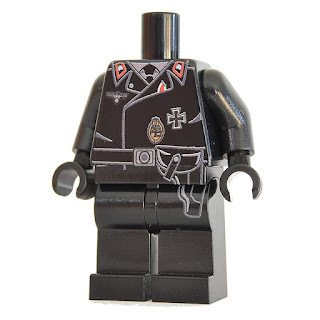 United Bricks Minifigs come hot on the heels of the last MiniFig review, a great way to kickstart this section of the blog! This time I have again three complete MinFigs lined up for scrutiny aswell as a torso and a torso and legs, obviously victims of War! 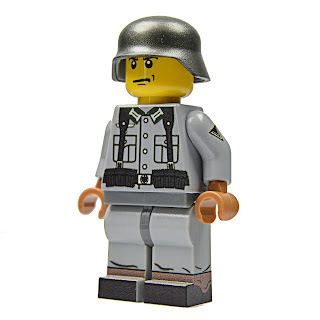 All are WWII MiniFigs, hurrah! What Russian tank would be complete with out this little chap present. The printing on the uniform is very good indeed. Details are on both torso and legs front and back, so he looks great in all directions. He also sports a superbly made tankers helmet. He comes wearing his war face! He is available in both light skin tone and a more yellow skin tone. He retails at £7.00. Well you couldn't get a more British looking Tank crewman if you tried. Proudly sporting a spiffing moustache! The print work on the uniform is fantastic on front and back and can't be faulted. He even has the 11th Armoured Black Bull insignia on his left arm. Finished off with his black beret. He comes in light flesh tone or yellow flesh tone. He Retails at £7.00. 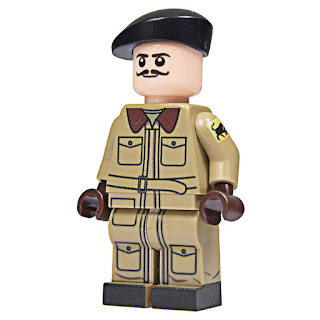 Here we have another WWII historical MiniFig. This time it's the Light Grey German Uniform soldier. The printing of the uniform details is excellent. 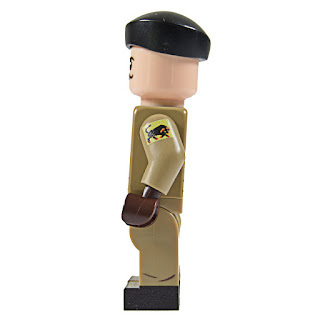 He also has a corporals rank symbol on his left arm. So maybe it's corporal Steiner! He also wears a BrickArms Stahlhelm. 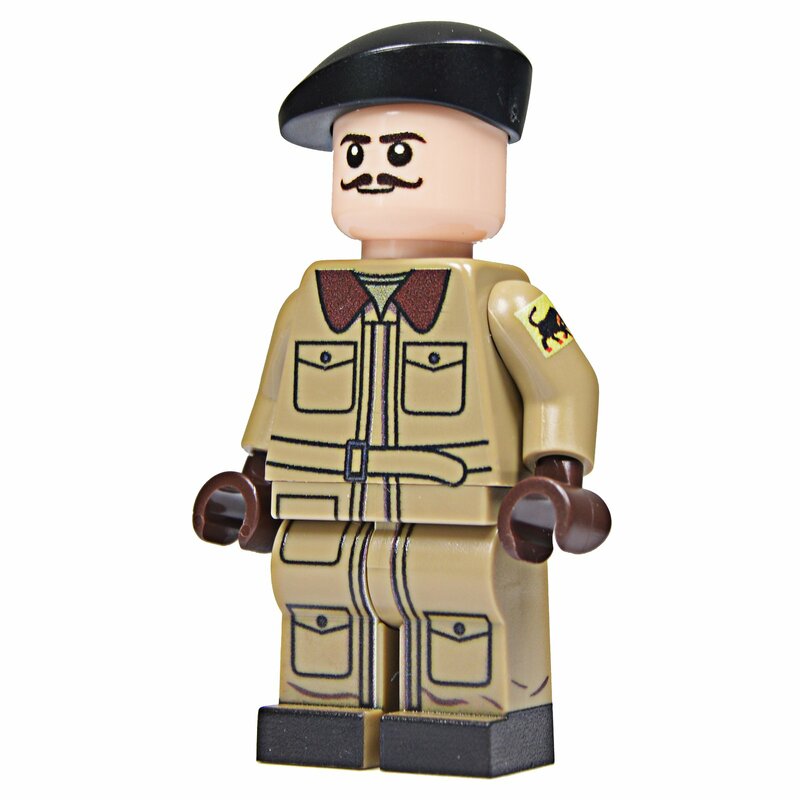 He would make an excellent addition to any German MiniFig diorama. He comes in light skin tone and yellow skin tone. He retails at £8.50. 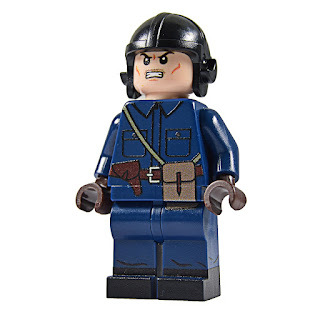 I'm really impressed with United Bricks Minifigs and can easily recommend them. I can't wait to see what comes next!